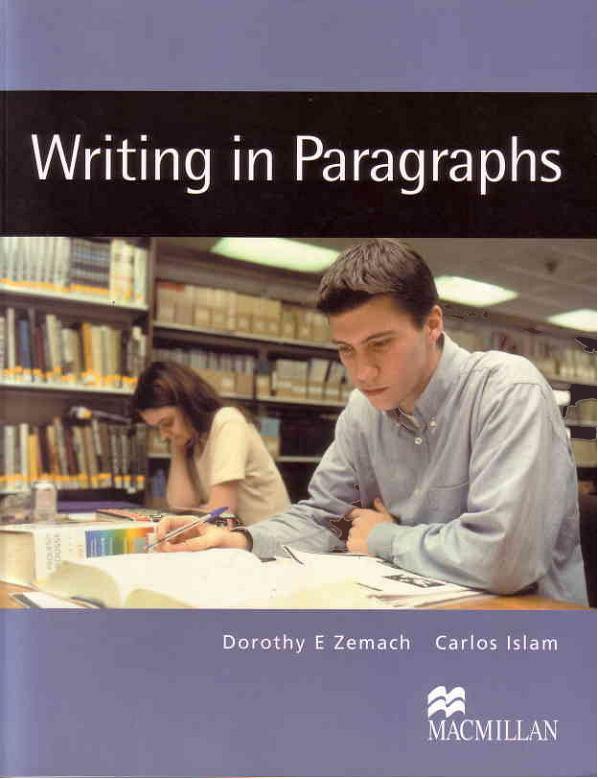 Dorothy E Zemach, Carlos Islam, "Writing in Paragraphs"
Also the booktakes students from sentence formation to paragraph writing through a process approach. This not only develops students' paragraph writing skills, but encourages them to become independent and creative writers as well. There are peer review forms and a grammar reference section at the back of the book. 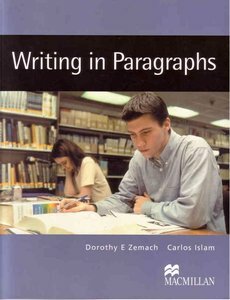 WRITING IN PARAGRAPHS includes a complete answer key and can be used in class or as a self-study book. It leads naturally into ACADEMIC WRITING.